Furla has partnered with LS Travel Retail in the opening of a new location in Prague T1 Extra Schengen. The 17sqm personalised location was opened officially on May 19th. Prague Terminal 1 Schiphol Airport also sees the arrival of a 10sqm personalised location which opened on the 27th of March in Lounge 3. Schiphol Lounge 3 Meanwhile, in Singapore, a generic Furla store has been upgraded to a personalised location in the Changi T2 Fashion Gallery and was officially reopened on the 2nd of May. 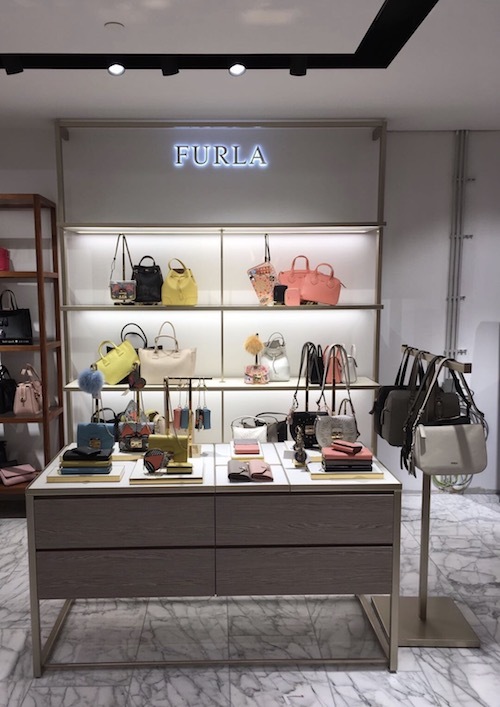 Changi Terminal 2 All stores opened with Furla’s Spring/Summer 2017 collection. “Many thanks to LS Travel Retail for their continued support of the brand,” says Gerry Munday, Furla’s Global Travel Retail Director.